Peijin specializes in serving Chinese companies, joint ventures, and international groups. 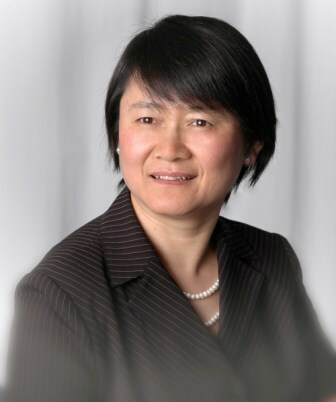 Peijin has been practicing in accounting and taxation over fifteen years, and has a wide range of experience in audit, taxation, merger and acquisition, organization and registration in United States, and financial accounting areas with her primary focus on providing excellent client service tailored to fit her client’s needs. Due to unique study and extensive experience in US international taxation and treaties, Peijin has been brought Chinese companies considerable tax benefit. Peijin and MSP have the largest group of Chinese clients in Metro Detroit area. Their clients include the top three automotive groups in China, and industries involve in mining and heavy equipment industries, research and development, automotive parts manufacturing and trading, electronic products trading, high-tech data processing, real estate investment, and international importing and exporting. Their clients’ size ranges from successful family business to international groups with billions of dollars in revenue from China, Taiwan, Canada, Mexico and Europe. Peijin and the firm have been successfully provided total solutions to the firm’s clients which have included international audit, assistance with taxing authorities, obtaining special incentives at the local, county and state levels, merge and acquisition, transfer pricing, international tax planning and compliance, etc. Peijin frequently travels to China to assist Chinese clients understanding opportunities and challenges of doing business in US, to help clients resolving complex issues in accounting, taxation and financial management, to discuss complex accounting principles, tax codes, and treaty agreements between China and US, to assist Chinese clients applying for government tax incentives, and to conduct due diligence on merge and acquisitions. Peijin has devoted herself to providing excellent services to her clients. Peijin was teaching Economics in Eastern China Normal University before she came to United States. She earned her bachelor degree in economics and master degree in international finance from Eastern China Normal University, and earned master degree in accounting from Eastern Michigan University in United States in 1994 . Peijin is a committee member of China General Chamber of Commerce USA-Automotive Committee. She plays an active role in non-profit and charitable activities, and hosted various taxation and financial forums to Chinese society. US international tax consulting and planning with extensive experience in business from Asia (mainly Chinese companies) Services including:. Entity structure, establishing and registering the business, worldwide tax planning and tax minimization, compliance reporting, exporters incentives, transfer pricing, key employee taxation matters, etc. Extensive general business consulting services including financial data analysis and interpretation, selecting and set-up accounting systems and related training, etc.